Game warden applicants in the state of Arizona face a very competitive hiring process for both state jobs, and federal positions with U.S. Fish and Wildlife Service. With demand so high, many applicants wait in multiple agencies' hiring pools for months in order to accept a job opening as a warden. Applicants are well-advised to be able to demonstrate exemplary skills and interests such as enjoyment of the outdoors, accomplished fish and wildlife experience and advocacy, and strong communication skills. Typically a game warden's responsibilities would include patrolling a given area for violators or problems, monitoring the health and populations of plant life, fish and wildlife, and carrying out search and rescue operations when required. Game wardens typically manage a county or region of their state and are responsible for protecting all wildlife and natural features within that area. 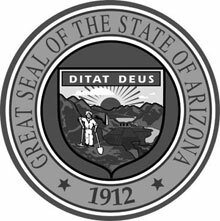 Read on to discover how to best prepare yourself for the application process in Arizona. People who enjoy Arizona’s wildlife and natural habitats, and who have a strong sense of justice and a desire to work in law enforcement, may consider working as a Wildlife Manager for the state. Sometimes referred to as a game warden or conservation officer, Wildlife Managers are responsible for carrying out policy as it pertains to the management, preservation and harvest of wildlife within the state. License: A valid Arizona-issued driver’s license is required. Individuals must maintain a good driving record. Academic Credentials: Completion of high school or GED is required; two years of field experience or a Bachelor's degree in a wildlife science or a closely related field from an accredited college or university. Knowledge of current methods and practices of natural resource and wildlife management, prescribed fire management and fire effects; effect of military training on natural resources are recommended. Knowledge of federal, state and local agency regulations, policies and procedures relating to forestry and natural resources are recommended. Computer spreadsheet, Microsoft Office, ArcGIS, and database program knowledge is required; proprietary programs will be used. Demonstrated skill in conducting field work pertaining to the natural resources and forestry program. In addition to base salaries, Arizona’s game wardens receive substantial benefits. These include full medical coverage, life insurance, and both short and long term disability insurance, and the option to retire under the Public Safety Personnel Retirement System. Salary information from the Arizona Department of Administration’s Office of Employment and Population Statistics highlights the difference that location can make on a game warden’s earning potential. Statewide, game wardens in Arizona earned a median salary of $45,500, while those in the top 10% averaged $62,340 as of 2015. In the Phoenix area, the median salary was almost identical at $45,850, but experienced Phoenix-area game wardens earning in the top 10% made an average salary of $65,360 - nearly 5% more than their colleagues in other parts of the state.